Scottish amateur champion and winner of the Kings Links Golf Centre North-east District Open at Aboyne on Sunday, Euan McIntosh (Turnhouse) has revealed to "Scottishgolfview.com" that a place on the European Senior Tour as a professional is his goal as he approaches his 50th birthday which will make him eligible for senior circuit status. McIntosh has been a winner five times - the Scottish amateur championship and four 72-hole events - since he was reinstated as an amateur the best part of two years ago after a pro career that ended up in the doldrums after a bright start when he won the Scottish assistants championship in 1992. Edinburgh-based Euan told me at Aboyne on Sunday, "I decided I would do things differently second time round ... not be so self-critical of my performances and not led a bad round or bad run get me down which was a big difference in attitude for me. "I thought I might even try to enjoy my golf which, for many years I certainly did not and that led me almost to give up the game for about 10 years." About two years ago, after McIntosh had dabbled at a comeback and found he could still "play a bit," he return to the amateur ranks with the long-term target to become a tour pro again on the Senior Circuit." McIntosh knows that it won't be easy to win playing rights on the European Senior Tour. 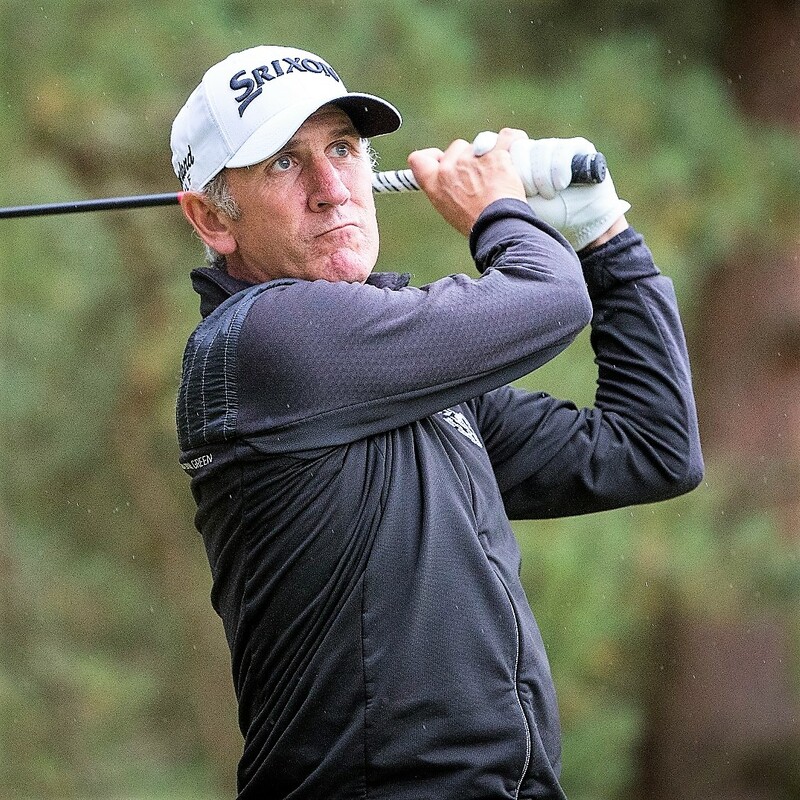 Only about six players' cards are available annually at the Senior Tour Q School ... but his recent form has boosted his confidence to the extent that he felt he should have a go instead of wondering for the rest of his life if he could have made it on the over-50s' tour. Basically, Euan is a shy person. He felt it was harder personally to stand up an make the winner's speech at Aboyne than it was to win the tournament! McIntosh felt that the secret of his success in the North-east District Open was his putting. "I should have left a drink at the bar for the Aboyne greenkeeper. I holed more long putts in the tournament than I have done for a long time, if ever. The greens were just the right pace for me, perfect in fact.